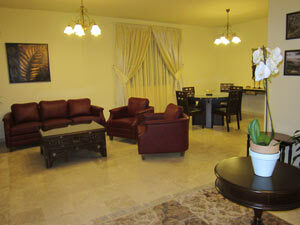 250 sqm, its atmosphere of comfort and luxury, you are sure to spend an exquisite stay with the feeling of being home. 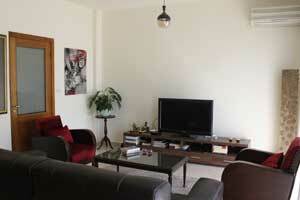 Located on the 13th and last floor, in the heart of Hamra area, the 220 sqm apartment is ideally situated. Cozy, comfortable, modern, with a small touch of oriental style, you will enjoy the warmth atmosphere and the well being it releases. A cozy and modern 150 sqm apartment. Located in the heart of Beirut, only few steps from Sodeco Square and few minutes from Hamra and the downtown (Solidere). 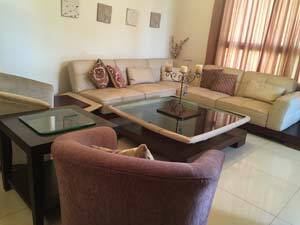 you will enjoy the apartment's location, atmosphere and facilities.